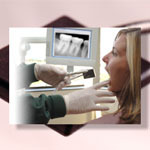 19 online training modules designed to give your employees an immediate understanding of all disciplines of dentistry. 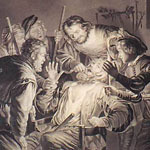 This module presents an overview of the evolution of dentistry, beginning in ancient times and moving forward to the Medieval and Renaissance period, the 18th and 19th century and finally the 21st century. Dentistry in the 21st century is the focus of the module covering technologies related to diagnostic systems, treatment planning, lasers, CAD-CAM and practice management. Dental professionals use a unique vocabulary. This module focuses on dental anatomy terminology. Your ability to speak confidently will enable you to develop a close rapport with the entire dental team, understand their needs, and enable them to make informed purchase decisions. This module presents an overview of the dental team and office environment. The dental team is comprised of dentists and their support staff. While each team member performs specific functions within the office environment, effective communication and cooperation between them are key ingredients for success of the practice. 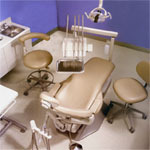 This module presents an overview of various dental office equipment. You will learn about the dental chair, operator stools, dental delivery system, overhead operating light, compressor system, dental handpieces, evacuation system, curing lights, sterilization systems, x-ray developer, nitrous oxide system, communication system, x-ray equipment, intraoral camera, lasers and air abrasion. 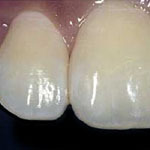 Preventive dentistry includes new techniques and products involving both biology and technology. Many dentists implement preventive programs into their practices to help prevent periodontal problems and tooth decay. 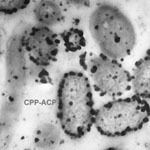 This module presents an overview of preventive dentistry and introduces you to new preventive techniques and products commonly used in today's dental offices. The goal of operative dentistry is to restore the functional and esthetic viability of teeth through the placement of different kinds of tooth restorations. 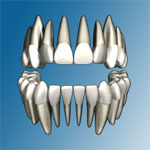 This module presents a general overview of various instruments, materials and techniques commonly used in operative dentistry. This module presents a general overview of the dental specialty, Oral and Maxillofacial Surgery. Oral and maxillofacial surgery involves the diagnosis and management of diseases, injuries, and defects in the head and neck region. Oral and maxillofacial surgeons, commonly referred to as oral surgeons, extract teeth, treat facial pain including Temporomandibular Disorder (TMD), and correct misaligned jaws. They also care for patients with cancer and facial injuries both in disease elimination and rehabilitation. 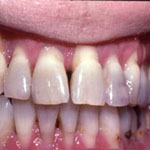 This module presents a general overview of Cosmetic Dentistry. Cosmetic dentistry deals with improving the appearance of non-carious teeth using a variety of methods including veneering teeth, restoring teeth with natural appearing restorations, and whitening teeth. This module presents a general overview of the dental specialty, Periodontics. 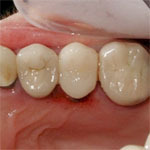 Periodontics deals with the diagnosis and treatment of diseases involving the supporting tissues of the teeth. These tissues consist of the gingiva, bone, and periodontal ligament. 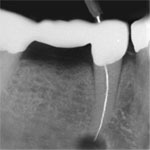 This module presents a general overview of the dental specialty, Endodontics. 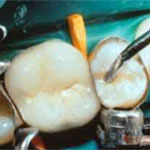 Endodontics deals with the diagnosis and treatment of inflammation and infection associated with the pulp of the tooth. The most common endodontic procedure is called root canal. 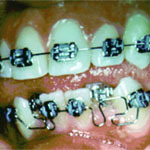 This module presents a general overview of the dental specialty, Orthodontics. Orthodontics deals with the diagnosis, prevention, and treatment of tooth alignment problems as they relate to the mouth and face. 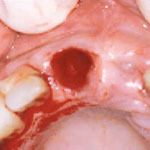 These problems include esthetic issues, difficulty speaking, poor chewing function, and abnormal swallowing patterns. This module presents a general overview of the dental specialty, Prosthodontics. Prosthodontics deals with the rehabilitation of oral function and esthetics by restoring or replacing missing teeth and other structures with synthetic replacements. It encompasses several sub-specialties including fixed, removable, implant, and maxillofacial prosthodontics. This module presents a general overview of the dental laboratory. The primary services provided by dental laboratories are creating fixed and removable prosthodontics, cosmetic restorations, and orthodontic and other appliances. This module addresses the important topic of infection control within the dental setting. 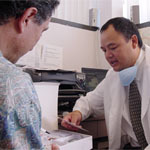 The dental office is a high-risk environment for the spread of infectious diseases, especially AIDS, hepatitis B and C, herpes, tuberculosis, and influenza. 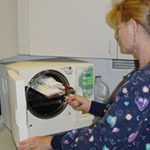 All patients are potentially infectious and universal precautions should be taken to prevent transmission of disease. This module presents an overview of selling skills. Today the dental industry serves dentists, laboratories, dental schools and government and research facilities. While it is a health profession serving patients with oral health problems, it is also a business. Dentistry is now a highly competitive field with many qualified companies vying for the same customer's business. This module presents a general overview of the digital dental practice. Over the last 30 years, computer technology has revolutionized our personal and professional lives. 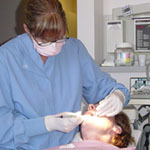 The dental practice has also been a part of this trend. Technology used in the dental office has changed dramatically and has empowered dentists to deliver the highest possible quality of care. This module presents a general overview of pharmaceuticals in dentistry. Pharmaceuticals continue to play an increasingly important role in the dental operatory. Initially used as a means of reducing pain, pharmaceuticals have evolved over the years into a wide range of products that enable dentists to deliver significantly higher levels of patient care through pain control, treatment of oral diseases and overall patient management. Dental implants are artificial tooth roots used to support a dental prosthesis such as a crown, bridge or denture. Providing long term clinical success in the replacement of missing teeth, dental implants help to maintain a functional and healthy occlusion and effectively stop or prevent the loss of supporting jawbone - a common sequela of tooth loss. 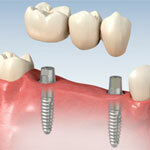 Watch this module and learn more about implants. Obtain training for your company via the purchase seats page.